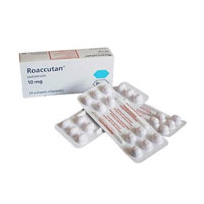 Accutane is a prescription acne treatment pill derived from Vitamin A. Accutane is available in either Oral or Topical forms, marketed under several other trade names including: Isotane, Sotret, Amnesteem, Claravix, Decutan, and Roaccutane. Accutane has been linked to some serious side-effects, but is it still worth trying? We need to do more investigating to find out. 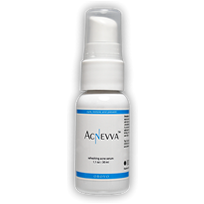 Despite a long history of use scientists still have been unable to isolate the precise mechanism that combats acne and is responsible for the success of Accutane. Until Isotretinoin’s release in 1982, high doses of Vitamin A were the treatment of choice for troublesome acne. Not only was the release of Isotretinoin a breakthrough, because it was shown to be as effective as Vitamin A, but its side-effects were less severe than Vitamin A. Despite Isotretinoin’s better safety than Vitamin A, there are still quite a few possible side-effects associated with Accutane. 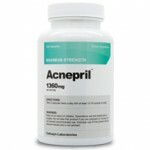 In many cases Accutane works better than other acne treatments because it targets several sources of acne. It reduces oil production, limits cell build up thus preventing whiteheads and blackheads, kills acne bacteria, and reduces inflammation. Regardless of the reason for your acne you should be able to see results with Accutane. Whenever you use a prescription acne treatment you need to determine if the potential benefits outweigh the side effects. Accutane is no different. Your doctor will go over potential side effects in depth and help you determine if it is worth using. Some of the more common side effects include discomfort with contact lenses; joint pain, back pain; feeling dizzy, drowsy, or nervous; dryness of the lips, mouth, nose, or skin; or cracking or peeling skin, itching, rash, changes in your fingernails or toenails. Isotretinoin is a teratogen and is highly likely to cause birth defects if taken during pregnancy. A few of the more common birth defects this drug can cause are hearing and visual impairment, missing or malformed earlobes, facial dysmorphism, and mental retardation. For this reason you are instructed to use two forms of birth control while taking Accutane. Since the 1980s, scientific research has suggested a relationship between isotretinoin administration and the onset of psychological symptoms including depression, suicidal ideation, and psychosis. Due to the possible severity of side-effects Accutane and similar products are usually prescribed only after all other types of treatment have failed. While Accutane has a long history of success, it has some definite safety issues. Please do not take Accutane without a doctor’s prescription as it can result in serious side-effects. I took accutane in high school it made my lips and face so dry that I had to carry around a can of a vaseline with me to keep my lips coated in Vaseline on my lips and my face because it made them so dry, so bad that was one of the terrible side effects. I am now 45 & took Accutane when I was 25. I had severe cystic acne & at a low dose I was completely cured & have had beautiful skin ever since. Now I have a daughter with acne & hers is even worse than mine was. I know exactly how terrible it is to suffer from acne, but I am VERY reluctant to even consider Accutane. Since taking Accutane 20 years ago I have never been able to wear contacts again & can barely tolerate eye makeup. My mouth is extremely dry & I have had MANY intestinal problems that have decreased my quality of life. 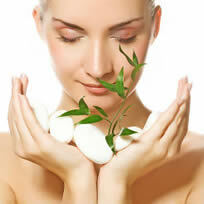 Side effects are real & long lasting & more numerous than stated above but you will have beautiful skin.